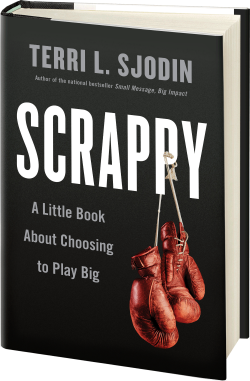 T’was the night before the book launch event at Barnes & Noble… thank you for your support of “Scrappy”! How many of you have ever felt uncomfortable after listening to the playback of your own voice on your out-going voicemail message? Have you ever re-recorded it?… over and over again until you felt like you got it right? Now imagine hearing your own voice being recorded for hours on end and having to listen to the playback. It’s a very humbling and awkward experience, let me tell ya. 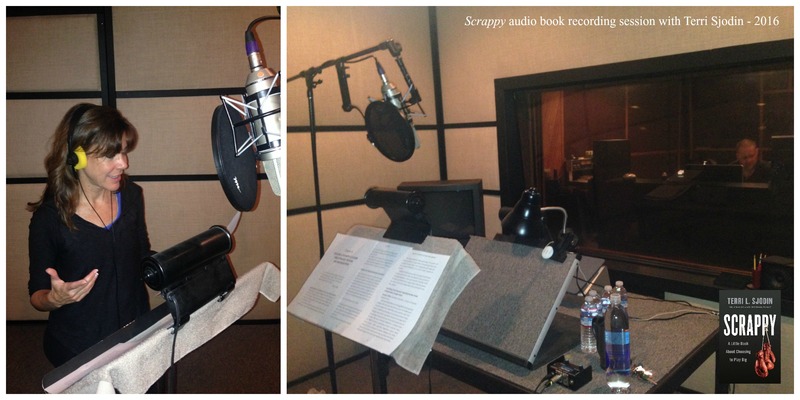 Last month I completed a solid week of recording sessions in a local studio narrating the Scrappy audio book. It was an incredible opportunity (though a bit stressful at times) and the studio team of professionals was amazing to work with. They helped me get through the highs and lows (like mis-pronouncing names or fighting a cold) and create what I hope is a fun ride for the listener. Part of the experience towards the end of the process was to complete a special “This is the Author” interview – which gives audio book listeners a little inside view from the author’s perspective about narrating their own work. I asked if I could share the interview with my Scrappy Book Club members… so here are a few of the questions I answered and a complimentary link to the actual interview recording. It’s short and sweet, only about six minutes long. Hope you find it interesting! Tell us about your book. Why did you want to record it? Did you do anything to prepare for the recording? Have you learned anything about yourself (or your writing) while recording? Is there a word or phrase that you realized you didn’t know how to pronounce? What was your favorite part (character, chapter) to narrate? Who could you hear reading your audiobook if you hadn’t? I thought it was funny when they asked me who I could hear recording the audio book instead of me. I’m curious – who could you imagine voicing Scrappy and why? Did any of my answers surprise you? Any suggestions for next time? I would love to hear your thoughts.